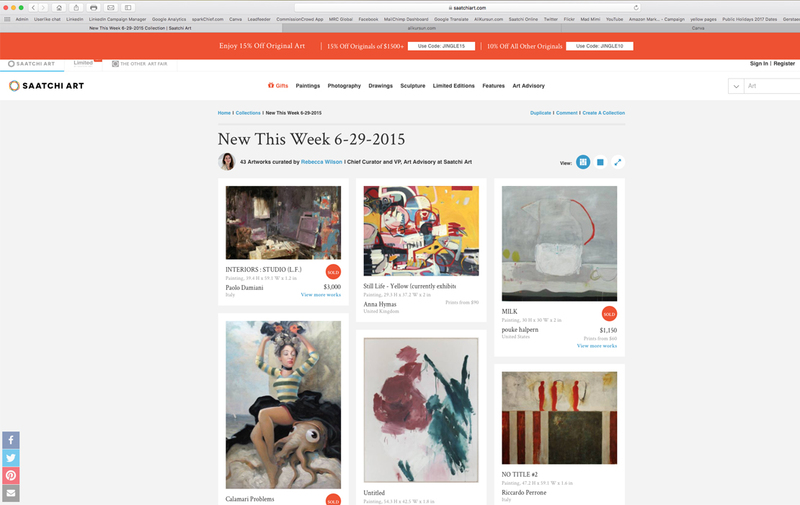 Saatchi Art had chosen me as the "Artist of the day". 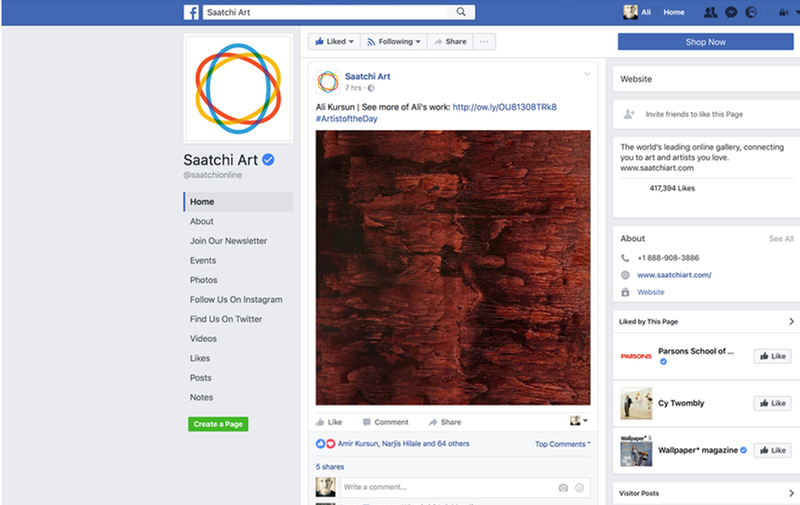 My work was featured on social media platforms such as Facebook and Twitter by Saatchi Online. 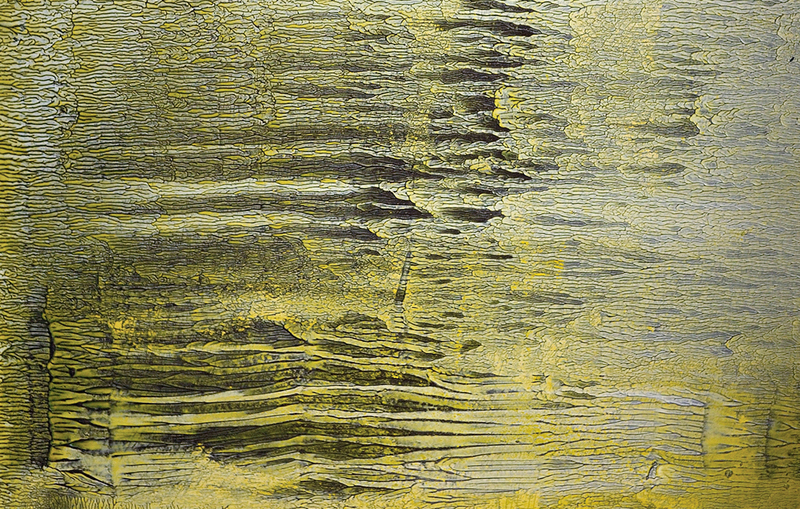 "Love" (162cm x 130cm) acrylic & ink on canvas was selected by Rebecca Wilson, Chief Curator and Director, Art Advisory at Saatchi Art and was featured in the “New This Week” Collection at Saatchi Art Online during the week of June 29, 2015. 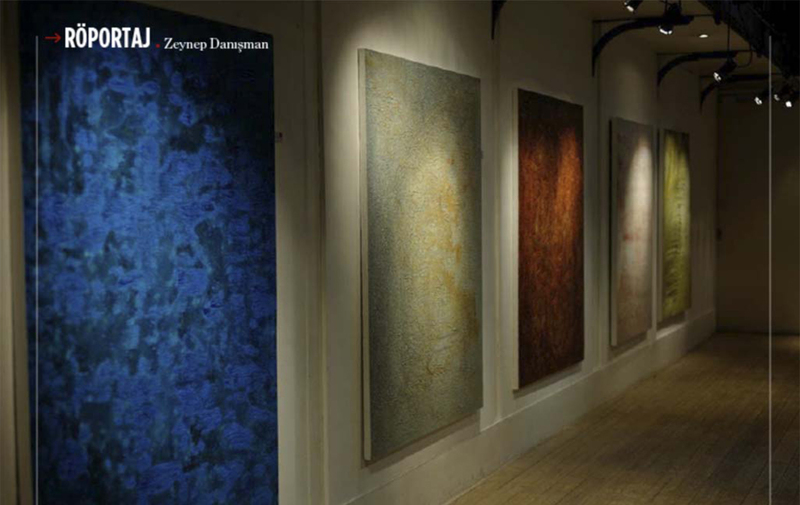 Artist interview (Published in Dipnot Tablet Magazine in May 2015). 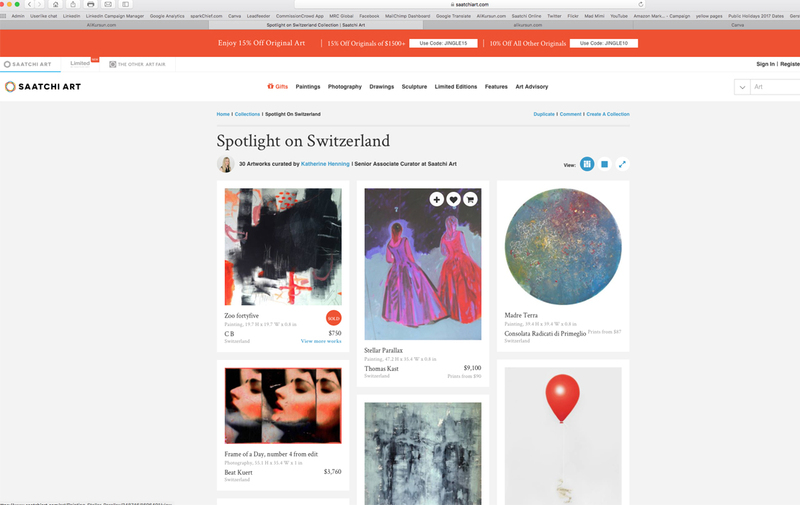 "Homebase" and "Innocent" were selected by curator Kat Henning as part of her collection "Spotlight on Switzerland" featured on Saatchi Online homepage in honor of Art Basel 2014. 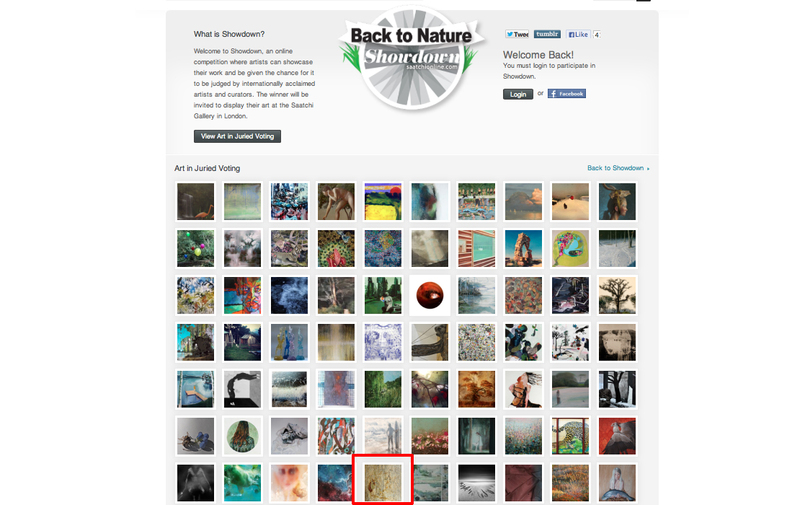 "Breeze" was selected as one of the finalists on Saatchi Online's "Back to Nature" Showdown in August 2013.